Winter in the Poconos can be brutal on older roofs. Temperatures dip below freezing, the wind chill can hover around zero, and of course there’s snow and ice to deal with, too. Thus, it makes sense to have a roof inspection done before winter starts. 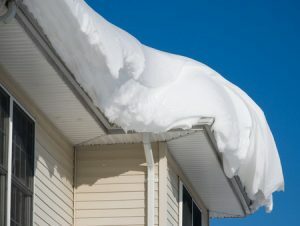 If you were thinking of having your roof inspected, now is the time to do it before the roof is covered in snow. You can have Roofing By Bruce come take a professional look and inform you if there’s anything that needs repair before the cold, cold weather sets in. Do you currently have any roof damage? Some signs to notice include ceiling leaks, the accumulation of roofing granules in your gutters, missing shingles, dents in your gutters or flashing, and whether or not you’ve got any sagging parts in your current roof. It’s best to schedule a roofing inspection in November before winter snowstorms hit the region. Wouldn’t you rather know now what’s going on “up there” than to abruptly discover problems in the middle of a snowstorm in February? Meanwhile, it’s easier for roofers to make repairs when there isn’t snow and ice covering a roof. An inspection at “the right time” this autumn will allow the inspector to visually see what kind of wear and tear is “up there.” Maybe there’s a hole in the roof that an animal would like to use to nest in? Or perhaps water is currently pooling somewhere, such that it isn’t being directed off of the roof and away from the house. Most people are not going to go up on their own roofs and know what to look for, which is exactly why a professional roof inspection by Roofing By Bruce makes sense. Your roof is a key feature of your home, and it’s up to you to have it checked every so often to make sure it’s functioning as intended. Autumn is a smart time to have your roof inspected before the snow flies this winter. Call Roofing By Bruce of East Stroudsburg, PA, at 570-424-8891 or fill out a contact form to schedule your affordable, helpful inspection.